By keeping these 12 tips in mind, you can avoid negative karma in the future! Our schools and the youth within them are segregated into classifications, “clicks” or cliché groups which are branded with labels like “Jock”, “Goth”, “Prep”, “Druggy”, etc. Within the first few seconds of meeting a person our minds have already associated the individual with a category (that is right, as a race we are far more judgmental than most of us are willing to admit); this association will have discerning qualities and auto-responses built into all of us – many of which are media driven or society’s accepted standards. Life is a journey. So is wisdom. Learn why it’s necessary to live life to the fullest without becoming too serious about things. While there has been some amazing progress made by humanity in the modern era, the dysfunctional outcomes of our current social systems are now abundantly clear, and individuals are being shocked out of their slumber at an ever-increasing rate. Collectively we are waking up. We are realizing our deep dissatisfaction for the way our social systems are designed and the destructive impacts they’ve had both on humanity and our natural environment, and this awakening is driving important changes on so many levels of our society. Labeling yourself as a “freethinker” really does boost your personal morale. It makes you feel as though you belong to a special and elite group of intelligentsia – much preferable to the groupthink “peasants” out there. … That’s until the reality check comes, and you realize that you weren’t as “freethinking” as you once thought. 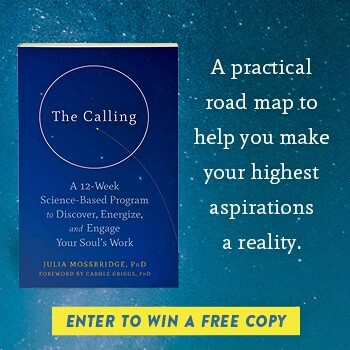 Below are some strategies for those wishing to live more rewarding, connected, and sustainable lives. Isn’t it interesting that even though life has its own rhythm and its own natural course to follow, we still insist on trying to control how everything unfolds? We have so many expectations about how things should be, how people should behave, how events should unfold, and because we desperately try to control everything and everyone, wanting to make things go our way, we simply can’t be happy. The word “ritual” is almost always assumed to have religious connotations – after all, almost every culture since the beginning of time has incorporated rituals into their spiritual and religious ceremonies. From the ancient Egyptians, American Indians and Mayans, to the Buddhists, Christians, Jews and Muslims, rituals of every kind have been created and sustained for almost every purpose imaginable. So it might come as a surprise to you to discover that rituals don’t have to be esoteric, rituals don’t have to be religious and rituals don’t have to be spiritual.